I declared that I would live only in the now for 30 days. This meant I could not think about the past or the future -- I would only focus on what was happening in the moment. Sounds easy, but what an awakening experience. If I started to think about how something went wrong in the past or worry about something in the future, I would stop myself and release the thought and get back to the present. I recently decided it was time to create some changes in my life. I reminded myself that my life will not change unless I do things differently. This seems so obvious, but it's usually overlooked. We desperately want some part of our lives to change but we continue to think, feel, and act the same way as we did before. One of my favourite definitions of insanity is doing the same thing over and over and expecting different results. Thanks to Albert Einstein for that wisdom. 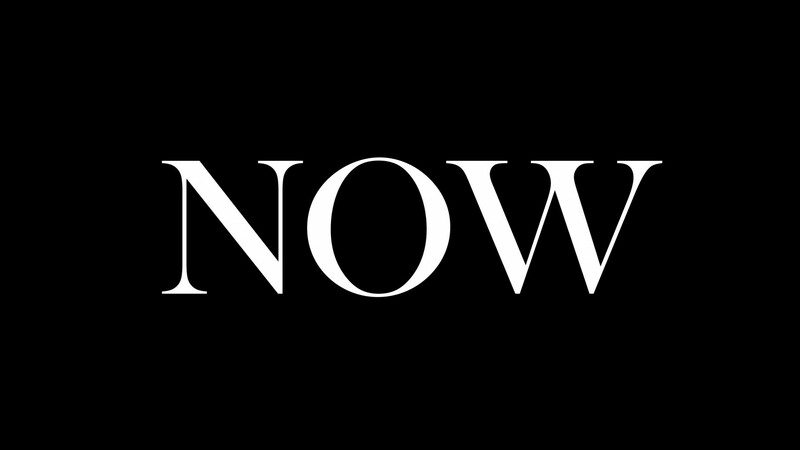 During a meditation I remembered the "Power of Now" by Eckhart Tolle. (What an amazing book, by the way!) I reflected on how powerful the now is and how I had experienced total peace and joy in meditations (being present in the now). I declared that I would live only in the now for 30 days. This meant I could not think about the past or the future -- I would only focus on what was happening in the moment. Sounds easy, but what an awakening experience. My mission was to be present with the NOW and to live day by day, moment by moment. If I started to think about how something went wrong in the past or worry about something in the future, I would stop myself and release the thought and get back to the present. Discovery number one: There are very few predators in the NOW! I define predators as things that could harm me and cause me to feel alert and anxious. For example, getting hit by a car is a predator in the NOW. To my amazement, I realized I had been living the majority of my life feeling anxious or uneasy about things that were not real, or that had passed and were no longer part of my present reality. It had become normal for me to think about how I had made mistakes in the past or to worry about something in the future. It had become normal for me to create thoughts that made me feel bad. When I focus on the NOW and live moment by moment, I feel lighter and happier. I realized that my habitual thinking patterns were keeping me in a state of uneasiness, and I was living in a self imposed mental prison in a way -- without even knowing it. Lets just say by day six I had accepted that I will need to be kind to myself during this transformational process to live in the NOW. Not as easy as I thought it would be. My thinking had become so habitual that even though my intention was to live in the NOW, my thoughts would revert back to the old pattern of past or future obsessing. Over the past 10 days I have spent hours not living in the NOW without even realizing it. Not living in the present had become so normal for me. Human beings survive by forming habits, like brushing our teeth and feeding ourselves. It is so important to realize that not all habits we carry with us are good for us, even though they seem like such a normal part of our existence. I am determined to change my thinking habits. I am determined to be present and joyful, with all the abundance that surrounds me. I choose to change my non-productive habits! I choose to enjoy all the beauty that surrounds me. I choose to focus on the NOW and not to think about the past or the future. Being ALIVE and in the NOW is all we really have. Try living moment by moment, breath by breath, for just one day and you will notice something AMAZING! I will keep you posted on what else I learn and experience from my challenge!